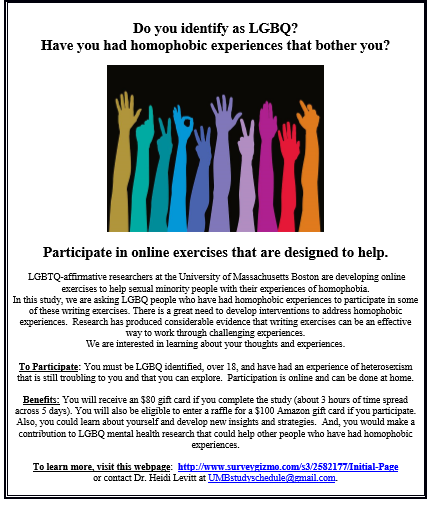 "The LGBTQ UMass Boston Advocacy and Research Collaborative"
We have developed brief exercises to help LGBTQ people deal with experiences of heterosexism. We are hoping you would be willing to help us, personally benefit from the exercises, and to contribute to the mental health of LGBTQ people who experience heterosexist experiences. In addition, if they finish the questionnaires and exercises at the times below, they will receive an $80 Amazon gift card and if they participate at all they will be eligible for a raffle for a $100 gift card. In total, the entire study should take three hours to complete across five days (about 20-30 minutes on four of the days and 45-50 minutes on one day). *A follow-up questionnaire two months later. We really appreciate your support to better LGBTQ lives. On March 15th, 2016 BiNet USA attended a historic meeting at the White House organized by Apphia K and Ari S.
The meeting focused on the experiences of bisexual asylum seekers and bi immigration. 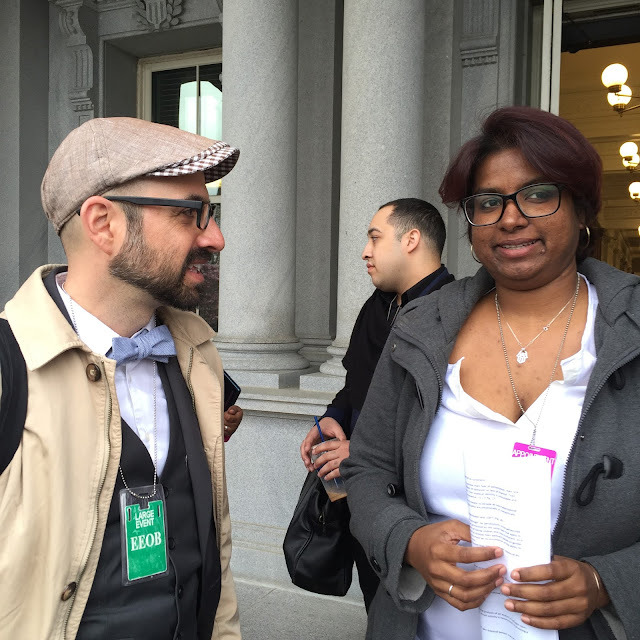 Read the recommendations provided for the White House by Apphia K and Ari S. here. Read more about 45 years of bi immigration at academia.edu via the excellent SAGE journal article by Ray Sin. Check out the Bisexual Resource Center "HOW TO BE AN ALLY TO A BISEXUAL PERSON" brochure that was provided to meeting participants. 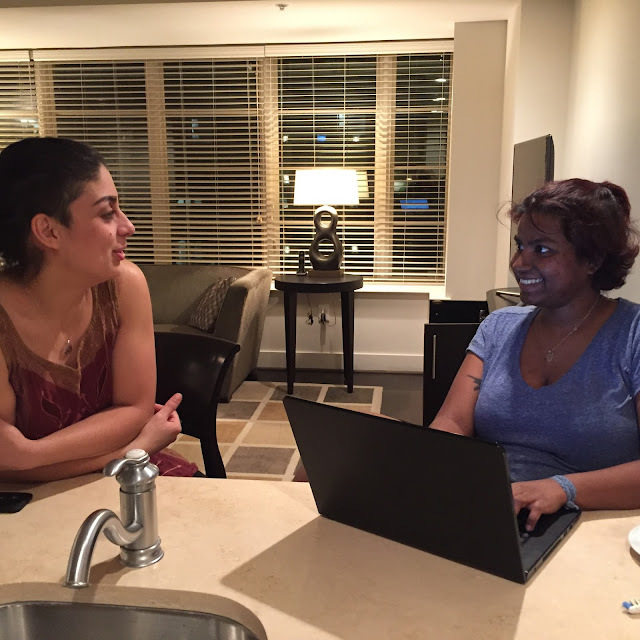 Ari S. and Apphia K. prepared long into the night to prep their recommendations for White House staff. Robyn Ochs and Apphia K. as Apphia shares her personal experience with administration officials. Ari directly after finished sharing her story. Attendees after meeting: Stacey Long Simmons, The National LGBTQ Task Force, Isa Noylan, Transgender Law Center, Jorge Gutierrez, Familia: Trans Queer Liberation Movement, Faith Cheltenham, BiNet USA, Eliel Cruz, Faith in America Executive Director, Ari S., Robyn Ochs, Apphia K., Aaron Morris, Immigration Equality and Sharita Gruberg, Center for American Progress. 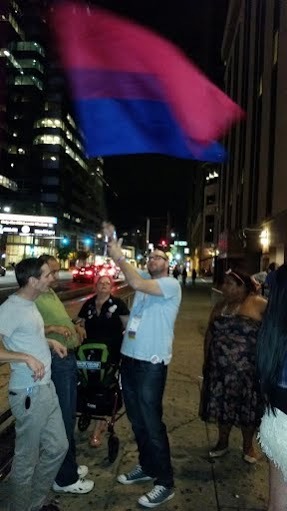 Aaron Morris from Immigration Equality with Apphia K.
Chastity Matthews was part of the larger community of bisexual leaders and she will be greatly missed. When one of the B in LGBT is lost to us, it's critical their family and friends know they were part of a diverse and vibrant community, often hard hit by disparities that take our lives far too early. Please donate and share widely: GoFundMe: We need just a little more help.! In crisis? Please text trained crisis counselors about anything that's on your mind. My name is Mirella Flores, and I'm a counseling psychology doctoral student at the University of Missouri, Kansas City. I am currently conducting a study regarding transgender People of Color’s sexual objectification experiences. In order to participate you must (a) self-identify as a transgender Person of Color, (b) be 18 years of age or older, (c) speak English, and (d) not be in current significant psychological distress (i.e., greater than everyday hassles). If you are interested in participating, you will be asked to participate in an interview, lasting about 45 minutes to 1.5 hours. The interviews may take place over the phone or in person. For your participation, you will receive a $25 Visa gift-card. BiNet USA joins the Bisexual Resource Center (BRC) and other bisexual community advocates in celebrating the third annual Bisexual Health Awareness Month. This year’s focus is on bi+ (e.g. bisexual, fluid, no label, pansexual, queer) youth. With a focus on the unique needs and experiences of bisexual+ youth, the Bisexual Resource Center (BRC) proudly proclaims March as Bisexual Health Awareness Month (BHAM) for the third year in a row. Therefore, Bisexual Health Awareness Month aims to raise awareness about these health disparities and to promote resources and actions that can improve the health of bisexual+ youth. BHAM will work in partnership with various LGBTQIA organizations, including the Human Rights Campaign, Trevor Project, BiNet USA, and Bisexual Women of Color (BIWOC), to achieve this mission. 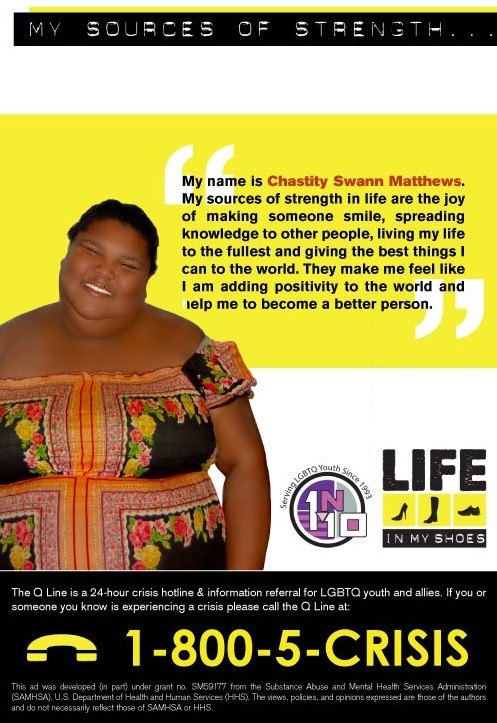 This year’s campaign will also empower bi+ youth to share their health related experiences and needs. • March 1-4: (Statistics) A focus on current statistics and research surrounding bisexual+ youth, including mental health, sexual health, and interpersonal violence. • March 7-11: (Intersectionality) An emphasis on how race, ethnicity, gender, ability, and class can further impact social, economic, and health disparities among bisexual+ youth, particularly in regards to experiences of oppression and discrimination. • March 14-18: (Resources) A spotlight on current resources, and the creation of new ones, that can improve the health and wellbeing of bisexual+ youth. • March 21-25: (Action) The promotion of programs, policies, and services that can work to prevent or decrease social, economic, and health disparities among bisexual+ youth. 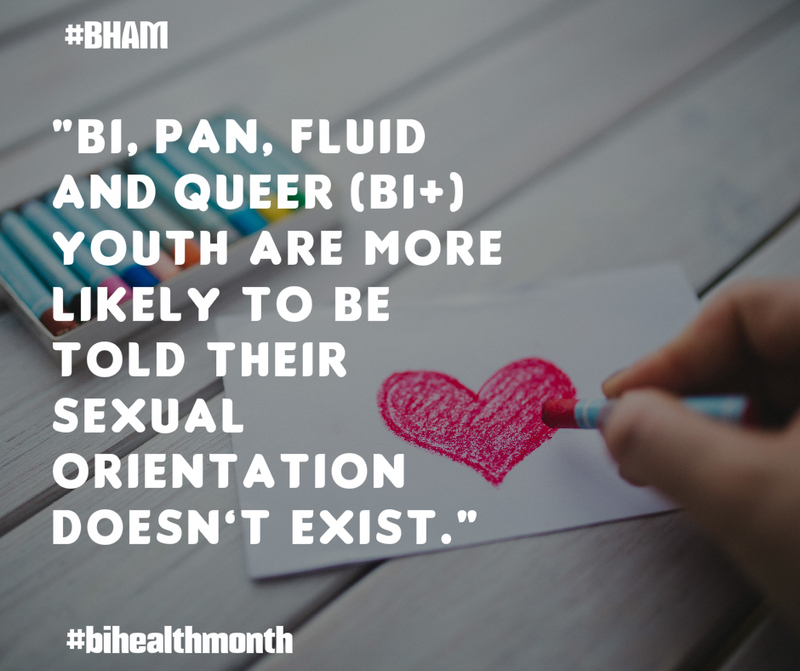 The third year of Bisexual Health Awareness Month launches Tuesday, March 1st on the BRC’s Twitter (with hashtags #BiHealthMonth and #BHAM), Facebook, Tumblr, newly launched blog and campaign website. The BRC invites individuals and organizations both in the United States and from around the world to become involved with this year’s campaign and to raise awareness about health disparities impacting bisexual+ youth in their own communities. BiNet USA proud to join BRC, Trevor Project, Bisexual Women of Color,The BiCast and other community advocates to raise awareness about these critical issue. 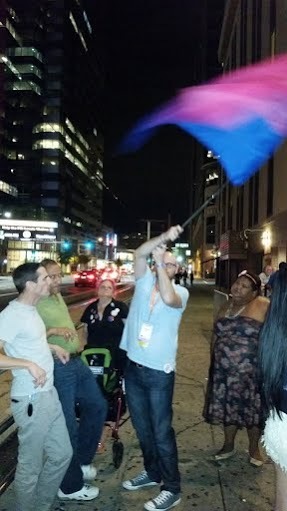 The Bisexual Resource Center (BRC) has been advocating for bisexual visibility and raising awareness about bisexuality throughout the LGBTQIA and straight communities since 1985. The Bisexual Resource Center envisions a world where love is celebrated, regardless of sexual orientation or gender expression. Visit www.biresource.net for more information. 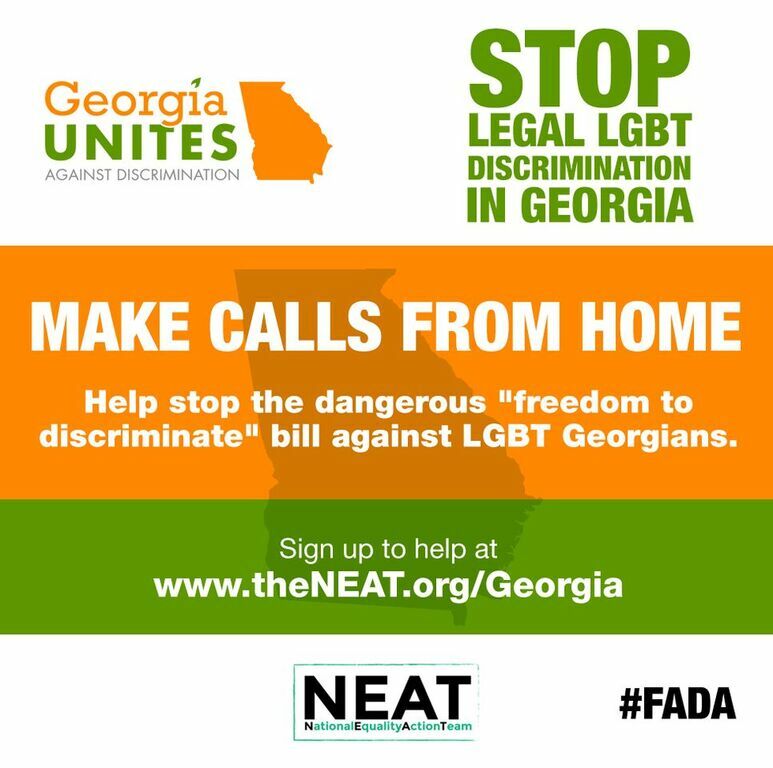 The Georgia Legislature is dangerously close to passing a so called "First Amendment Defense Act” or #FADA. This bill would allow businesses and taxpayer funded organizations to discriminate against the LGBTQ community. It could even allow help to be denied to victims of domestic violence, or police to stop protecting religions they don’t belong to. Once you sign up, our partners at the National Equality Action Team (NEAT) will provide training and all the resources you need to be great! The passion you each bring to our work for equality is exactly what we need to bring to the Peach State. 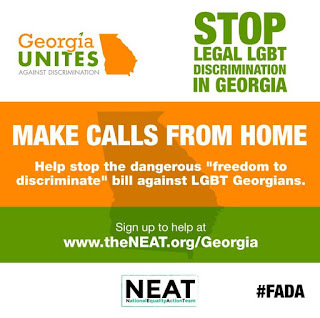 Sign up today to help us move one step closer to equality and justice for all!